Jessica Landrie, one of the student organizers of the Health Care Team Challenge. Teamwork is the basis of successful problem solving, especially in the complex, ever-changing field of health care. On Saturday, Jan. 23, six teams of students will put this theory into practice as part of the Health Care Team Challenge, a day-long case competition aimed at developing interprofessional collaboration. University of Saskatchewan participants include students from nursing, pharmacy and nutrition, medicine, veterinary medicine, arts and science, public health and physical therapy, with faculty members serving as judges. Students from related disciplines from the University of Regina and Saskatchewan Polytechnic are also part of the event. The winning team will travel to Halifax in March to compete at the national competition. "I really think an experience like this is one of the best learning opportunities an undergraduate or graduate student can take from their studies," said Jessica Landrie, executive member of the Health Sciences Students' Association and organizer of the event. A nursing student herself, Landrie's interest in this type of competition was sparked when she attended the national competition last year. The U of S did not have a team there and she wanted to change that. "It's really students' chance to apply their skills," she said, adding that it is important to get other disciplines such as psychology and social work involved as well. 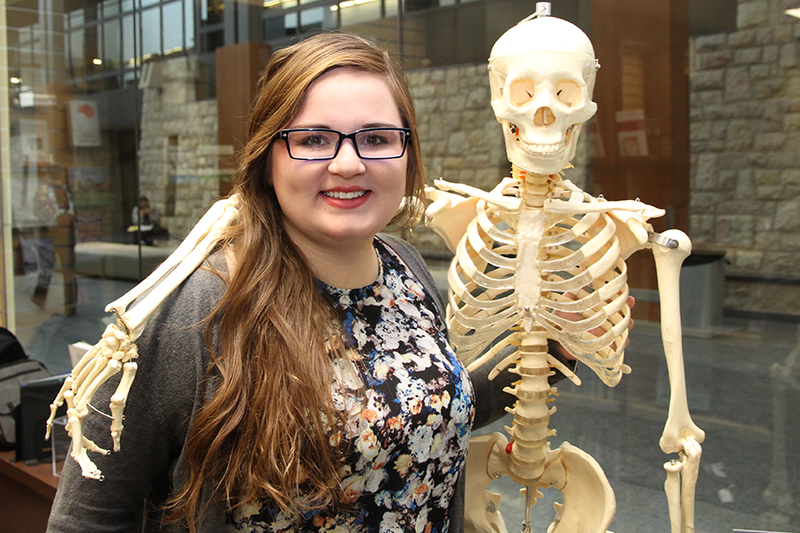 "I want students, like myself, to realize that what we're doing can be incorporated with other students from other health science colleges." The teams are sent a case study a week in advance to present at the competition for no more than five minutes. "They're not given a lot of time, but they're given a lot of information," said Landrie. "It's up to them how they want to present their cases to the judges. We really want them to bring out some really strong care plans in those five minutes." After the initial presentation, a figurative wrench is thrown into their case in the form of a complication or obstacle. They are given an additional hour to work through it and present once more to the judges, answering any questions about the case. "The idea with that is trying to condense all of their information while working together," she said. Case competitions such as this are a perfect way for students to learn how to work outside of their discipline, continued Landrie, and the sooner they master this skill, the better. "As health professionals, we have to recognize that there are other things going on with our patients than just a single factor," she said, "It's really important to do things like this as students, because it really helps us develop and feel comfortable in the wards and in the clinical settings." For more information about the Health Care Team Challenge, visit the Facebook event page or contact Jessica Landrie.